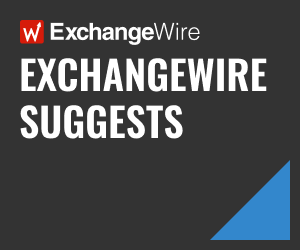 In this weekly segment, ExchangeWire sums up key industry updates on ad tech from around the Asia-Pacific region – and in this edition: APAC consumers see more ads across platforms; Bangladesh and Myanmar amongst fastest-growing ad markets; Eyeota snags £9.02m in Series B; and Toluna sets up China operations. Some 78% consumers in Asia-Pacific say they now see ads across more platforms compared to three years ago, but 61% also find ads more intrusive. About 91% in India reported seeing more ads across a variety of platforms, while 89% in the Philippines said likewise, according to Kantar Millward Brown’s ‘AdReaction: The Art of Integration’ study. The survey polled respondents across 45 countries and included multichannel copy-testing of 12 campaigns from eight counties, as well as analysis of the agency’s media effectiveness and copy-testing data. Some 73% in Singapore said they were seeing ads across more platforms, while 77% in Indonesia said likewise, as did 53% in Japan. Globally, 89% of marketers polled in the survey said their campaign strategies were integrated, but a lower 58% of consumers agreed. 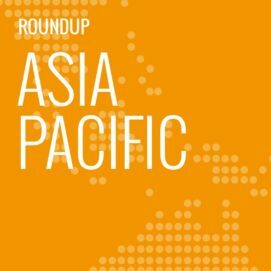 Consumer perceptions were disparate across different Asia-Pacific markets, with 78% in the Philippines saying ads now “fit together better” across different formats, along with 73% in China, 69% in Indonesia, and 62% in Singapore. However, a lower 48% in Korea agreed, as did 43% in Australia, and 40% in Japan. In addition, 81% of consumers in India found ads more intrusive now than three years ago, alongside 69% of their counterparts in in Australia, 68% in Singapore, and 61% in Malaysia. A lower 48% in Indonesia, 46% in Japan, and 35% in China felt likewise. 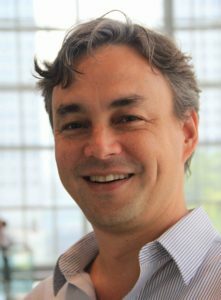 The agency’s Asia-Pacific head of media and digital, Pablo Gomez, added that consumers were exposed to more advertising than before and, as a result, becoming more judgemental of what they saw. The study revealed that campaigns that were integrated well and customised could boost overall effectiveness by as much as 57%. Bangladesh and Myanmar are projected to be amongst the world’s fastest-growing in terms of ad spend over the next three years, according to Zenith’s Thirty Rising Media Markets report. In fact, Bangladesh would clock the second-largest growth rate in ad spend, expanding by USD$457m (£329.66m) between 2017 and 2020, when it could generate USD$1.31bn (£944.99m). By 2020, the country’s ad market could be more than double that of Pakistan’s, even though Bangladesh would have just 80% of the latter’s population. Over the next three years, Iran could see the biggest growth in ad spend to reach almost USD$2.12bn (£1.53bn) in 2020. The country’s ad market expansion would be fuelled by its economic growth and reintegration into the global economy, noted Zenith’s report, which assessed 81 ad markets. It estimated that ad spending across the 30 markets totalled USD$9.7bn (£7bn) last year, up 12.7% from 2016, compared to the global average growth rate of 4%. These 30 markets were expected to expand at an average of 12.4%, three times faster than the global average of 4.1%, before churning a total of USD$13.8bn (£9.95bn) in ad spending by 2020. Iran and Bangladesh would account for 29% of this growth, the report said. It added that Angola would see an average annual growth rate of 19%, while countries such as Myanmar and Ethiopia would clock 18% growth. The group of 30 also included markets such as Sri Lanka, Mongolia, Dominican Republic, and Tunisia. The Singapore-based audience data vendor has secured USD$12.5m (£9.02m) in Series B funding, which it says will be directed towards product development and new hires. Led by private equity firm Jolt Capital SAS, the latest round of funding also included existing and new investors such as Project A Ventures and Qualgro. Qualgro’s managing partner, Heang Chhor, noted that marketers were increasingly relying on quality audience data to support their media-buying processes and post-campaign analysis. Eyeota said it had more than 3.5 billion unique user profiles across Asia-Pacific, Europe, and the Americas, and would continue to grow its network of platform partners to distribute data across more channels. Its CEO Kevin Tan said: “As an industry, advertising and marketing is driving a significant expansion in how data is applied from traditional targeting to custom segmentation, creative personalisation, A/B testing, and artificial intelligence. “This new round of funding allows us to enhance our audience and onboarding solutions, as well as provide us the opportunity to scale our operations with new data, new products, and to strengthen our presence across each region through strategic hires and new partnerships”, Tan added. The digital consumer research firm’s parent holding, ITWP Acquisitions, has bought out KuRunData in Shanghai as it moves to expand into the China market. According to Toluna, KuRunData had built a database of online and mobile panels of more than five million registered members as well as a survey platform to offer insights into Chinese consumers. The acquisition and operations in mainland China would further support Toluna’s expansion into the Asia-Pacific region, which currently included offices in Singapore, Hong Kong, Japan, India, Malaysia, Sydney, and South Korea. KuRunData founders Pan Hao and Wang Changwei would remain as CEO and chairman, respectively.